from coogee to bondi to a starry night. – static confusion. from coogee to bondi to a starry night. Coogee Beach, Bronte, Bondi Beach, kindered spirits, Glebe Village, Newtown and a night in the stars. 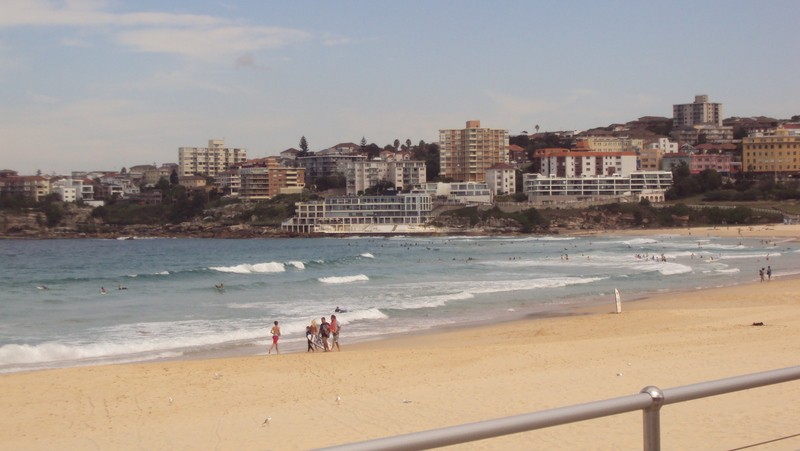 Bondi Beach – Bondi is Aboriginal word meaning “water breaking over rocks”. Its on Australia’s national heritage list and was the host beach for the 2000 Olympic Games. Bondi Icebergs is a swimming club created in 1929 for a band of lifesavers who wanted to stay fit during the winter season. The beach’s iconic status cannot be contested but it is a little unfortunate that commercialization and trendy lifestyles distracts the shore from its natural, raw bronze beauty. Coogee Beach – Known for its nightlife and the Coogee Beach Hotel, the neighbourhood is a quaint beachside suburb. Coogee is an Aboriginal word for “stinking seaweed” – not a fair description of the sandy strip but what is quirky – Wedding Cake Island – a small dune off the shore that looks like frosting when the waves crash against it. Glebe Village – Vintage bohemian neighbourhood that has grown with modern style while preserving some of Sydney’s oldest homes, bookstores and cafes. Streets are filled with vegan, organic and well-being alternatives to mainstream dining and shopping. A little nook west of a cosmopolitan city, it is definitely a hidden neighbourhood treasure. I could lose myself in the old rustic bookstores for days. Newtown – Old downtown with funky fringe, edgy alternative dwellings. 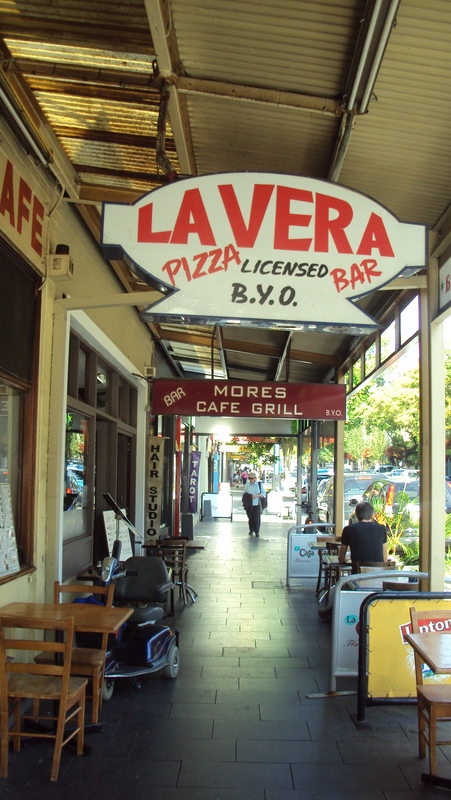 Not appealing on the eyes but historic graffiti and taverns is what gives this strip its charm. 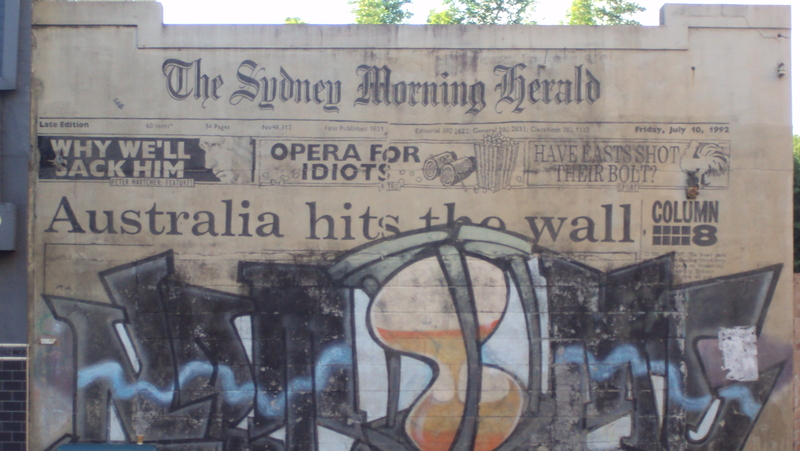 A myriad of many social genres, Newtown offers a sense of acceptance that challenges the Sydney stereotype of being posh and polished. Perhaps a little heavy on the grunge side, this part of town I’m fond of as it brings me back to the comfort of my favourite Toronto precincts. Sydney Observatory – Never much of a science buff or astrology for that matter, I wasn’t sure if I’d enjoy star gazing across the sounther hemisphere sky. That is until I walked Argyle Street through cobble stone laneways up the winding road to Observatory Hill. Once up top I am welcomed by howling bats, a looming tower that used to house ancient astronomers and a stunning panoramic view of Central Sydney. Following a 3D tour of space that rivals the likes of Star Trek, the real show began. Clminbing the stairs to a domed room covered in copper, the roof rotates open to unveil a starry night sky. I was able to see 4 galatic snapshots of space via a telescope: the jewel box (a cluser of start that looked like diamonds), the infamous Southern Cross that is embedded into the Australia flag, and two of our sister planets – Saturn and Mars. Saturn was truly picturesque, flaunting her icy rings. She was a beautiful sight. If I were a planet, I’d want to look like her. It is mindboggling that we humans exist as a mere spec of sand in what is a cluster of galaxies, bright shiny things, light years away. Previous Post hello. from japan. Next Post sydney by night.